Consistent texture: There’s nothing worse than rolled-up, pointy spiked apple-peels in your applesauce. So I thoroughly peel all apples before dicing and turning into sauce. 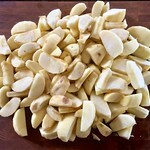 Use the peels: Much of the nutritional goodness from an apple is in the peels. Think vitamins, minerals and fiber. 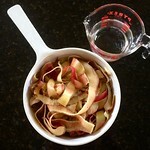 So rather than pitching the peels, I cook and puree the peels and then stir into the apple sauce. 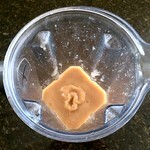 That way I keep all the nutritional goodness in my applesauce. No sugar added: Apples are sweet enough and adding extra sugar seems pointless. So I decided to use the oven concentrate the apple flavor and caramelize the natural apple sugars for a sweeter taste. 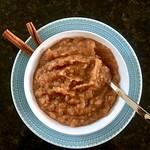 Basically, I wanted a healthier applesauce but I didn’t want to sacrifice texture or flavor. And the recipe worked. But I quickly started looking for ways to simplify things. Who wants to be tied to the stove stirring apples so they don’t stick to the bottom? Not this guy. 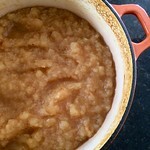 And who wants to waste apple cider on making applesauce? I’d much rather enjoy it in a glass, as it was intended. 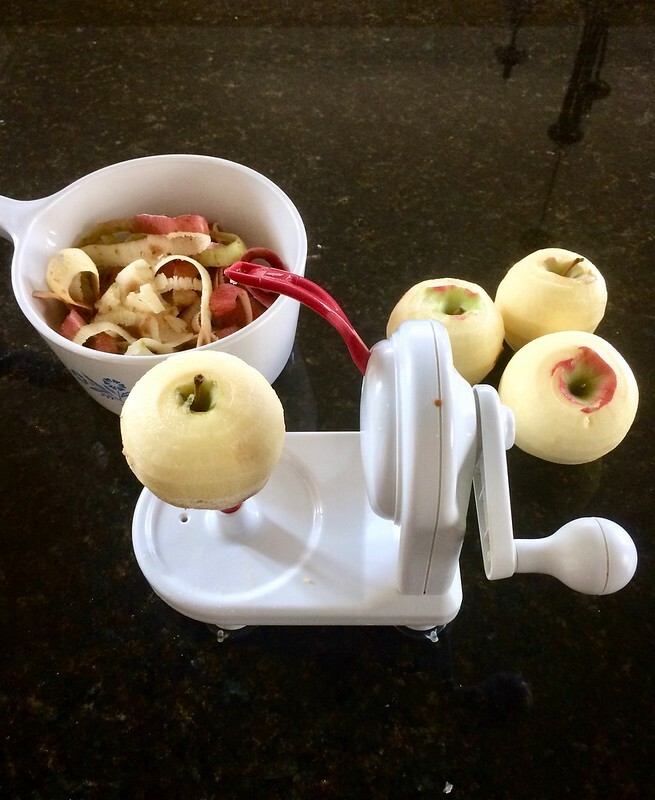 After five years and a dozen batches of applesauce, I’ve found an easier way to make the same applesauce in roughly the same amount of time. Best of all, it’s just as healthful and flavorful. What’s missing are the extra steps and ingredients. This is truly baked applesauce. Start to finish. 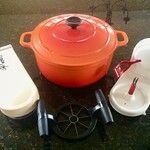 No stovetop, no boiling pots, no waiting by the stove. Revolutionary concept? Well, at least evolutionary. Click any photo to zoom in. 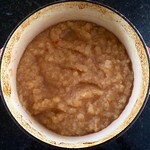 Easy and nutritious no sugar added homemade applesauce recipe with robust flavor. 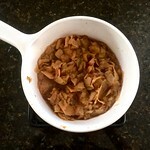 This recipe was first published on cookinwluv.blogspot.com. 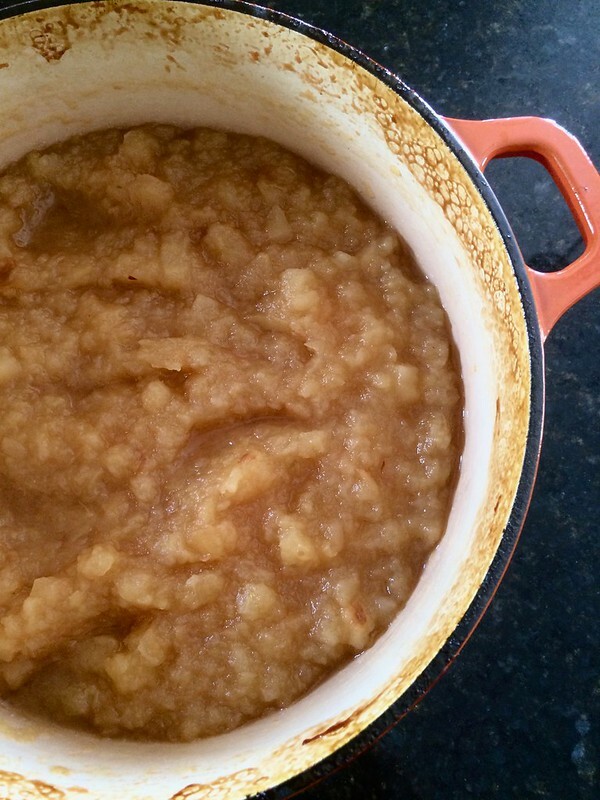 Roasting: Roasting the applesauce is critical for caramelizing the natural sugars in the apples, resulting in a sweeter sauce. 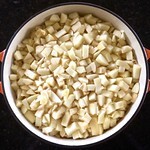 Roasting also helps to concentrate the apple flavor by evaporating much of the liquid and so thickening the sauce. 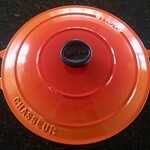 Skip the stovetop and use your oven. Apple variety: The best-tasting applesauce is one packed with a variety of apples. 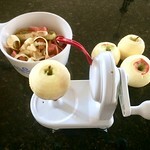 I try to use at least 3 types of apples: something sweet, something crisp and something tart. I personally love to mix Honey Crisp, Golden Delicious and Macintosh. But use whatever mix you like. 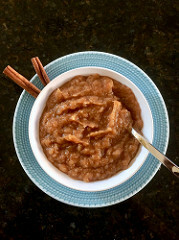 Spice or no spice: This applesauce doesn’t require spices to give it flavor. It’s got lots of flavor thanks to the caramelization and the puree of peels. 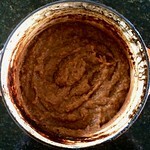 But if you like spices such as cinnamon or cloves, stir some in along with the puree. Or don’t. This sauce is bursting with flavor no matter what. 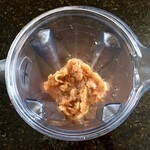 Water: NEVER add water to applesauce - it results in watery flavor and texture. 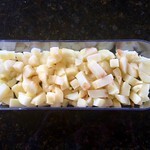 If you bake the apples instead of cooking on the stovetop, you will never need to add water. Apples release plenty of water throughout the cooking process. 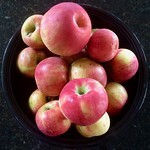 Apple "seconds:" You can save significantly on applesauce if you pick up "seconds" apples from your local farm. In fact, "seconds" are typically about 2/3 the price of apples sold even at bargain stores like Walmart. 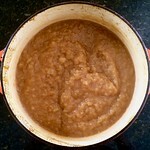 So if you can find apple seconds, stock up and make a few batches of sauce.